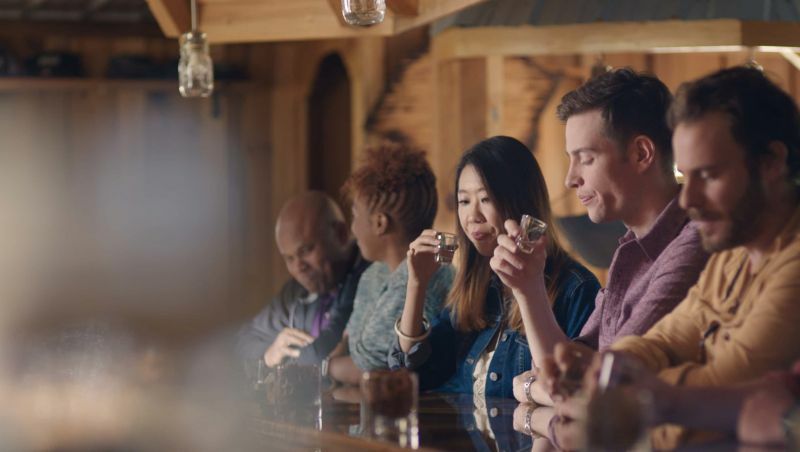 North Carolina's microdistilleries craft small-batch gin, rum, whiskey, vodka – and, of course, moonshine. Industry opportunities for bootleggers soared when North Carolina became the first Southern state to enact prohibition. Bootlegging – selling spirits without taxation or government permits – immediately became a means for financial stability. While national prohibition ended in 1933, North Carolina remained a dry state until 1935, the heyday of hooch, eventually giving birth to the firewater-fueled sport of NASCAR. 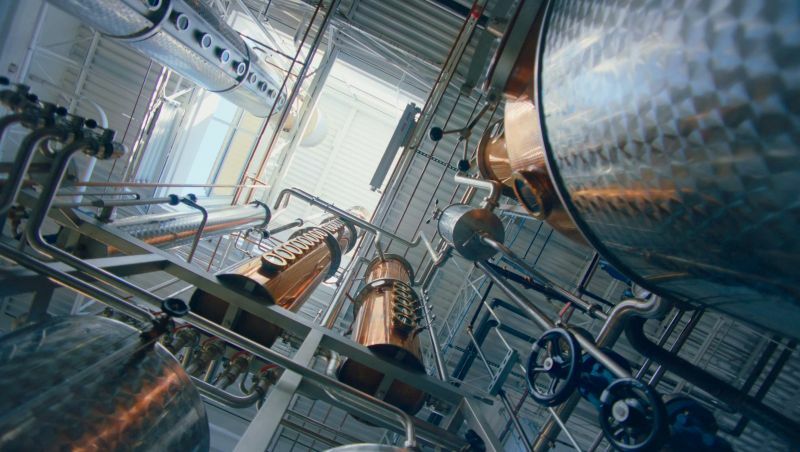 Owner and master distiller Jeremy Norris uses his grandfather’s moonshine recipe, passed down from five generations and prepared in a 500-gallon solid copper pot still. But Broadslab offers much more than just its Legacy Shine, including Reserve Whiskey and Carolina Coast rums. The distillery offers tastings and tours Thursday to Saturday from noon to 5 p.m. Pair it with: Pack your swimsuit and head to Tucker Lake, which boasts clear spring water and white sand beaches. There are several waterslides and floating playstations, along with beach volleyball, picnic areas and a campground. More than 60 years after his grandfather was arrested in Ireland for making poteen, Ollie Mulligan is doing the same in North Carolina – on the right side of the law. The County Kildare native uses the same poteen (Irish moonshine) recipe that’s been in his family for generations, and Great Wagon also offers Rua (Irish for red) single malt whisky and Bán (Irish for white) vodka. Tours and tastings are available upon request Monday through Saturday. Pair it with: Great Wagon Road is steps away from Olde Mecklenburg Brewery and Sugar Creek Brewing. But you can literally walk next door from the distillery to its sister bar, The Broken Spoke, which features a wide-ranging local tap list along with handcrafted drinks using GWR’s spirits. 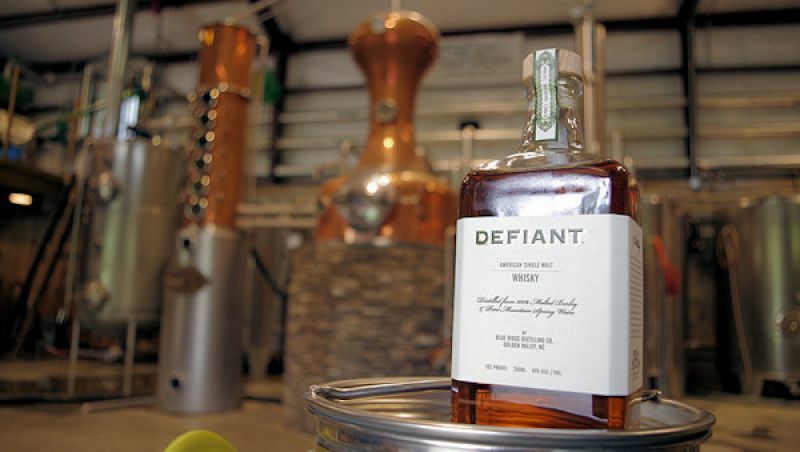 The distillery’s bellwether brew – boldly branded Defiant – is an award-winning barley-based whisky made from pure mountain water and softened and seasoned via white oak spirals rather than barrels. It offers tours Monday through Friday (9 a.m. to 3 p.m.), and weekends by appointment. Pair it with: Legend has it that Abraham Lincoln wasn’t born in Kentucky, but rather the small Blue Ridge Mountain town of Bostic. Plays and books have been written regarding the controversy, and The Bostic Lincoln Center Museum (free admission) features permanent and rotating exhibits regarding our 16th President. Produced on the banks of the Catawba River, Muddy River Distillery specializes in rum, including the barrel-aged Queen Charlotte Reserve. Whether it’s the coconut or spiced variant, you’ll find rum that’s equally sweet and smooth, begging for a blender. Muddy River offers short and long (complete with samples) tours available upon request. Pair it with: Head to Rivermen Brewing Company to sample craft beer and grab a bite from the in-house farm-to-table restaurant. Or check out The Jailhouse Spirits + Lounge, a bar and cigar lounge housed in the town’s former jail. Chapel Hill's well-known watering hole is brewing more than beer these days. The Tar Heel tavern has introduced handcrafted Carolina Whiskey, Piedmont Gin, vodka and spiced rum. After a personalized tasting and tour with the distiller, sip your choice spirit on the TOPO patio overlooking famed Franklin Street. Pair it with: The Crunkleton is one of the top cocktail spots in North Carolina, featuring more than 500 distilled spirits, craft beer and a detailed wine list. The speakeasy atmosphere and attentive personalized service make this a must-stop when in the area. “From molasses to glasses” is the tagline for the Outer Banks’ only distillery, located in the former Board of Education building in downtown Manteo. Rum is the primary spirit here, as Outer Banks offers several types of its Kill Devil series, including gold, silver and a unique pecan and honey combination. Tours are offered with reservation Tuesday through Saturday. Pair it with: Manteo is home to the North Carolina Aquarium on Roanoke Island, which boasts several exhibits about the inhabitants around the Outer Banks. You can also visit Lost Colony Brewery on the waterfront before taking in the historic Lost Colony outdoor drama. Piedmont Distillers brews its signature spiced ’shine – Catdaddy – from a train-station-turned-hooch-headquarters amidst the unassuming town of Madison. In 2007, North Carolina’s NASCAR legend and bygone bootlegger Junior Johnson joined the cause with his heirloom recipe for Midnight Moon, with fruit flavors ranging from apple pie to strawberry. Pair it with: Looking for a bite in Madison? Check out the Airport Drive-in, a throwback to the past where you can order everything from juicy cheeseburgers to down-home country cooking and enjoy it at the diner or in your car. In the town titled “Beer City USA,” moonshine is making a name for itself, and Troy Ball is the matriarch. 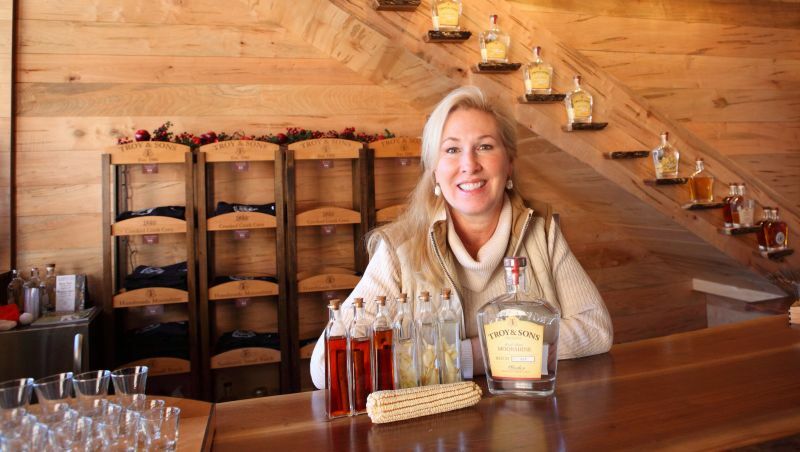 This bootlegging businesswoman brews small-batch ‘shine from North Carolina-grown heirloom corn with hints of vanilla, cucumber and melon for Asheville’s most affluent, with a customer list that includes The Biltmore Estate and The Omni Grove Park Inn. Tours and tastings are offered during select times Friday and Saturday. Pair it with: Asheville is bursting with dozens of craft breweries, highlighted by Burial, Green Man and Wicked Weed. Make it a point to dine at Cúrate and renowned chef Katie Button’s eclectic Spanish tapas menu. A visit to this distillery is like no other, as it’s the only one in the United States housed in a former prison. Whereas the correctional facility once housed captured bootleggers, Southern Grace honors them with its whiskey collection, including the award-winning Conviction. Tours are offered (and encouraged, given the site’s history) with online reservations. Pair it with: Mount Pleasant boasts one of the largest antique malls in the South with White Owl, which is housed in a former textile mill. Vendors range from collectibles to fine china in this 100,000 square-foot facility. Please drink responsibly. Designate a driver. Matt McKenzie is a craft beer writer based in Charlotte and has written for Charlotte Magazine and Charlotte Visitors Guide. He enjoys the fact he can get to either the North Carolina beaches and mountains in 3 hours’ time.